Can We Ever Fully Understand End-Time Bible Prophecy? A couple of days ago, someone emailed me a commentary on the book of Revelation and asked me to review it. I began reading it, and realized that it was nothing more than one man’s speculations about what he thought that this enigmatic book means. That same day I went to the post office to get my mail, and I picked up a cardboard tube sent to me by an admiring follower of our ministry. Inside the tube was a kind and complimentary letter along with a paper chart when unrolled was more than five feet long! 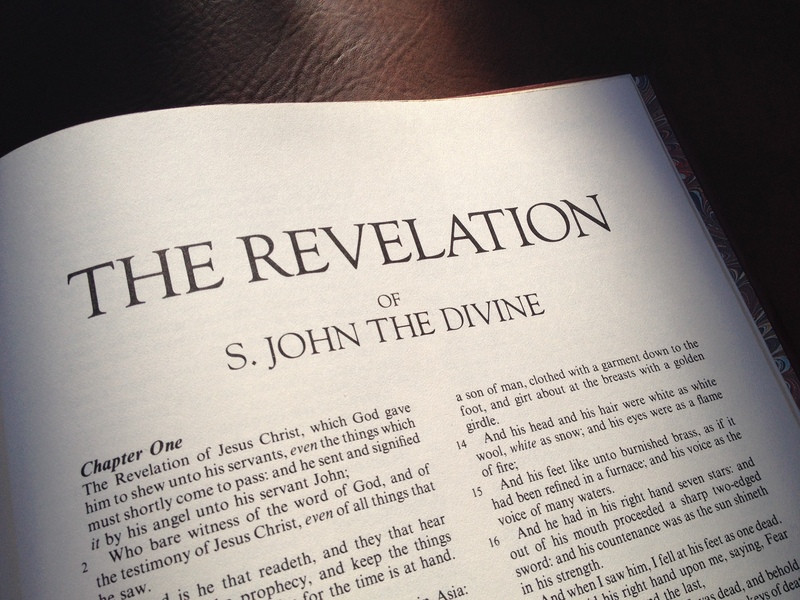 It was basically another man’s interpretation—a timeline chart—of how he thought the events of the book of Revelation would play out in the last days. 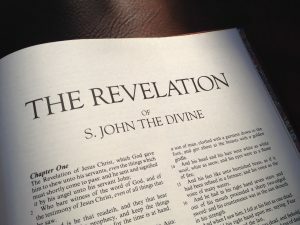 It contained ideas cobbled together from many sources including a number of well-known Christian prophecy pundits who have little or no idea about the Torah or Hebraic biblical understandings, meaning their biblical understanding—including their interpretations on the book of Revelation—is incomplete and not to be trusted. The man asked me to critique his work. After looking at this chart for a couple of minutes, I rolled it back up, stuck it back in the tube and shelved it. We all have our hunches about how Bible prophecy along with the book of Revelation will play out, but we’re all wrong. Some of us may have parts and pieces of the truth, but most Bible prophecy will not be fully understood until after it happens. For the most part, those prophecy pundits and Bible students who formulate timelines, charts and write commentaries on the book of Revelation and other end time Bible prophecies in an attempt to explain the exact meaning of the metaphorical symbols and to predict how these prophecies will be fulfilled, by whom and when are engaging in folly. No one knows these things exactly, and know will know, again, in most cases, until after they have come to pass, and even then, most people will not even understand the prophecies at that time. Here is a case in point: Even Yeshua’s disciples didn’t understand what his role was to be or how he was to fulfill the many Old Testament Messianic prophecies about him until after his resurrection. Do we really think that our biblical understanding and spiritual perspicacity is greater than theirs? If so, than this is not only folly on our part, but extreme arrogance and hubris! Perhaps we need to explore the biblical meaning of humility and faith. Let me explain what I mean. Regarding faith, if we were to know the exact details concerning the fulfillment of biblical prophecy including the book Revelation, then our spiritual walk would no longer be a faith walk as per the biblical definition of faith in Hebrews 11:1, would it? We’d now be walking by sight, not by faith, which is the opposite of what Scripture enjoins us to do (2 Cor 5:7). No, the main purpose of Bible prophecy isn’t to provide us with a sort of crystal ball to know what’s going to happen in the future. It’s purpose is only to raise our hope by providing us with a shadowy understanding of future events, like looking through a glass darkly (1 Cor 13:12), even as the ancient Jews had a shadowy understanding about the coming of Messiah, but they didn’t know the full or exact details of how biblical prophecies concerning him would play out. The exact fulfillment of those prophecies was hidden from the majority of Jews, which is why they killed him. YHVH divinely revealed only to a few of Yeshua’s closest associates how he perfectly fulfilled the Old Testament prophecies concerning him. Now this brings us to the main purpose of Bible prophecy, as I see it. It’s not so that humans can use the Bible as a sort of crystal ball or as a means to divine or augur the exact details of the future, but so that after the prophecies have been fulfilled, and the understanding of them is divinely revealed to YHVH’s faithful saints (as occurred to Yeshua’s disciples after his resurrection) that the omniscience and glory of YHVH Elohim will be manifested causing humans to glorify, praise and worship him. Please not: Even an understanding of the fulfillment of the prophecies is by divine revelation and will not be understood by the vast majority of people. For example, what majority of the Jewish population understood that Yeshua the Messiah was who he was in his day…or even today? What, therefore, should be the main focus of our spiritual walk as Bible believers? Namely this: We need to pursue holiness and righteousness through a spiritual relationship with Yeshua as we love him by obeying his Word. Our future is in his hands, and the just shall walk by faith, not by sight (2 Cor 5:7; Heb 11:1). In his hands, we are safe and secure no matter how the prophecies of the Bible play out. What is the bottom line here? Keep your eyes on Yeshua and have faith in him, and not on how you think Bible prophecy is going to play out, because no one knows these things. Make no mistake about it, the vast majority of those people who “understand” Bible prophecy are those who have something to sell you; they want to make a name for themselves for the purpose of human pride, control and mammon. Beware! 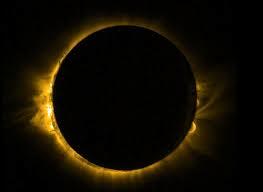 Matthew 24:29, 30, Sun will be darkened…sign of the Son of Man. Here Yeshua tells us that certain harbingers of his second coming will occur first. These include phenomenon occurring in the heavens involving the sun, moon and the stars. After this, a miraculous sign in the heavens will occur, and then Yeshua will come. Between the signs of the sun, moon and stars and the final miraculous sign of his coming there’s a gap in time. Yeshua later revealed to John that the cosmic disturbances involving the sun, moon and stars would correspond with the sixth seal (as part of the of the great tribulation that occurs before Elohim pours out his wrath on the earth) of Revelation 6:12–17. After this, Elohim pours out his wrath upon the earth (Rev 6:17; 11:18; 15:1; 16:1), and then the second advent of Yeshua occurs. Does the sign of the Son of Man coming (Matt 24:30lp) occur before or after the wrath of Elohim? That’s hard to say, but since Yeshua states that between the two events all men will mourn, perhaps this is a veiled reference to the wrath of Elohim that is to be poured out on unregenerate men during the seven trumpets, seven thunders and seven bowl judgments described in the Book of Revelation. Why else would men be mourning? The intervening time between the cosmic disturbances (the sixth seal of Rev 6:12–17) and Yeshua’s second coming during which Elohim pours out his wrath could be a year or more, since the Scriptures speak of the day (or a period of time) of YHVH’s wrath. The Hebrew word for day (Heb. yom) can mean both a day and a period of time. The prophet Isaiah speaks in several places about “the day of YHVH’s vengeance” (or words to this effect). This is the time period when YHVH will judge the nations including Babylon the Great, which occurs at Yeshua’s second coming (see Rev 18 and 19). In three places, Isaiah indicates that the day of YHVH will last for one year (Isa 34:8; 61:2 and 63:4). Interestingly, in Isaiah 63:4, the prophet couples the idea of the day of YHVH’s vengeance being a year long with the jubilee year—“the year of my redeemed has come.” This occurs as the Messiah (the subject of Isa 63:1–6) judges the enemies of Israel (notably Edom) as he is at the same time about to redeem (i.e. regather and return scattered Israel to its Promised Land inheritance). It appears that while Yeshua is judging Israel’s enemies at his second coming, he will at the same time be regathering the lost and scattered 12 tribes of Israel. Yeshua seems to allude to this in Matthew 24:31. What happens after the return of Yeshua to this earth — after he has put down all of his enemies in battle (Zech 14:1–3; Rev 17:14; 19:11–21)? This we know. He shall set his feet on the Mount of Olives (Zech 14:4) even as he ascended from the same place (Acts 1:9–12), and YHVH-Yeshua shall become king over the earth (Zech 14:9). 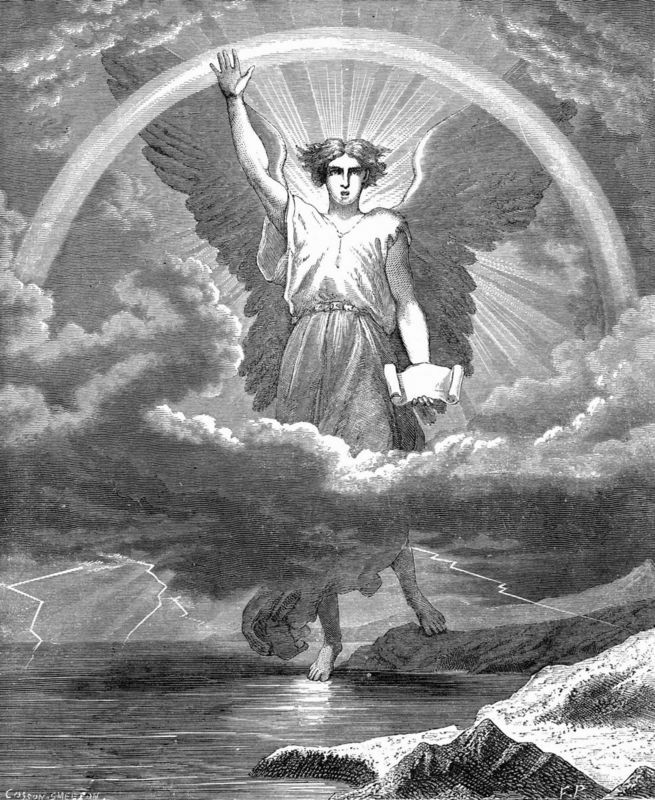 He shall be King of kings (Rev 17:14; 19:16) and rule with a rod of iron over the whole earth (Rev 12:5; 19:15) for one thousand years (Rev 20:2, 3, 4, 6, 7). This is commonly referred to as the Millennium. This is the earth that Yeshua declared that the meek would inherit (Matt 5:5). What will the 1000 year-long Millennium be like? The Scriptures give us some insights into life on earth during this time. What Happens After the Millennium? After the thousand years is completed, Satan the devil who has been bound in the bottomless pit (Rev 20:1–3) will be released briefly to test those on earth as to their faithfulness to King Yeshua (verses 7–8). The devil will then be cast into the lake of fire forever (verse 10). It there a one-thousand year Millennium? Revelation 20:4, A thousand years. This is but one of six references in the Bible to the Millennium lasting for one thousand years. The other references are found in the surrounding verses (vv. 2, 3, 5, 6, 7). These are more than enough references to meet the biblical criteria of establishing a truth in the mouth of two or more witnesses. Even then, some biblical students still question the idea of the Millennium and categorize it as a NT concept only and, therefore, feel they can disregard it. This is a shame and shows naive ignorance with regard to the Word of Elohim. An understanding of the prophetic implications of the seventh day Sabbath should settle this discussion once for all. In Hebraic thought, the seven days of creation picture the time man will be on this physical earth. Six days (for six days or six thousand years) man does his own work, while on the seventh day (or one thousand years) he rests and fellowships with Elohim. This is a picture of the millennial rest, which the Jewish sages have long called the Messianic Era, which is to come. The Millennium is not uniquely a Christian or NT concept, but is rooted in Judaism going back before the Christian era. The writer of Hebrews makes reference to this in Heb 7 when he compares Joshua taking the Israelites into the Promised Land with Yeshua taking the saints into the Sabbath, millennial rest of our spiritual inheritance. Is America Mystery Babylon the Great? Is America Mystery Babylon the Great, the mother of whores and of the abominations of the earth? Since Mystery Babylon will be destroyed in one hour (Rev 18:8, 10, 17, 20, 21), and since YHVH warns his people (all the saints, not just the Jewish people) to “Come out of her…” (Rev 18:4) it’s important to know who she is. Is Mystery Babylon a city or an entire country or what? It’s important to know the answer, so YHVH’s people will know how to prepare for the end time judgments against Mystery Babylon. To properly understand biblical prophecy, we must understand some fundamental concepts relating to properly interpreting biblical prophecy. Let’s look at the various types of prophecies in the Bible. First, there are long range, short range and mid-range prophecies. Second, there are prophecies that have been fulfilled, one’s that haven’t been fulfilled, and ones that have dual or even multiple fulfillments. 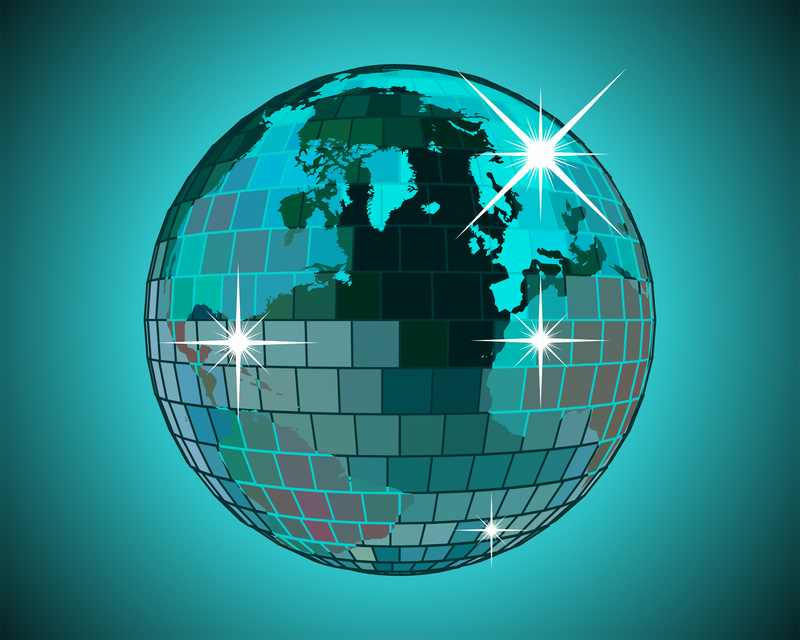 There are several standard viewpoints people hold when interpreting Bible prophecy. Some believe that all Bible prophecy has been fulfilled (the preterist view). Some believe that all prophecy is yet to be fulfilled (the futurist view). Some believe that some prophecy has been fulfilled, and some is yet to be fulfilled (the partial preterest view). I hold to the latter view. To know whether a prophecy has been fulfilled already, one must have an understanding of historical events. If the prophecy has already been fulfilled, it may or may not have any future prophetic fulfillments. How do we know whether it has any future fulfillments? If the prophecy contains end times prophetic language, it probably has a future fulfillment. If the prophecy hasn’t been fulfilled yet historically, it’s still a future one. Some prophecies contain language relating to events that have already been fulfilled historically, and also contain language involving future events that haven’t been fulfilled yet. 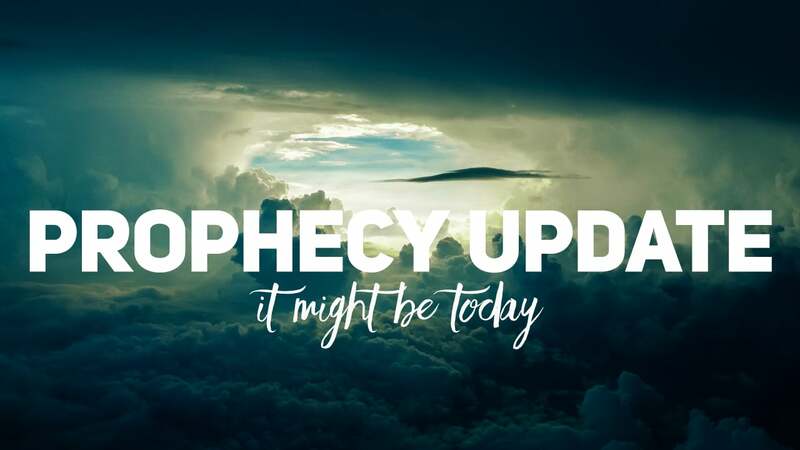 We know the prophecy has future or multiple fulfillments when other biblical authors make references to a past prophecy having future or multiple fulfillments. “Come out of her my people” is the cry of YHVH Elohim to his end times saints in Revelation 18:4. Come out of what? Out of Babylon the Great. 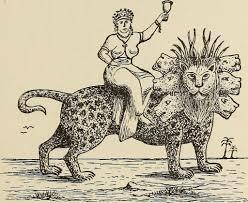 What is Babylon the Great and what does it mean to come out of her? A quick definition of end times Babylon the Great is this: It is a global religious, economic and political Antichrist system that is a confused mixture of both good and evil, which enslaves the minds and lives of humans. It is this system that YHVH-Yeshua will be destroying at his second coming. Babylon the Great involves all the religions of the world including mainstream global Christianity and Judaism. These last two religious systems are part of Babylon the Great because they have, to one degree or another, mixed biblical truth with ancient, pagan Babylonian religious doctrines and traditions. This is called syncretism and is something that YHVH Elohim hates according to numerous passages in the Scriptures. Another word for syncretism is ecumenism. The biblical term for it is apostasy — a term which means “forsaking (something), falling away or defecting (from something).” Falling away from what? The fundamental truth of the Scriptures (2 Thess 2:3 cp. 11, 12, 13) and believing the lies of the serpent or devil (v. 11), which involves coming under the influences of mystery of lawlessness or Torahlessness (v. 7). What does it mean to come out of Babylon? What does it mean to come out of Babylon? In the context of mainstream Christianity, we could give some very simplistic answers to this question by beating up on all the usual suspects. These would include all the non-biblical Christian paganesque holidays (Christmas, Easter, et al), steeples on churches, pagan-derived words in Christian nomenclature, whole denominations like the Roman Catholic Church, mainstream Christian doctrines that are derived totally or in part from pagan sources (e.g. immortality of soul, the traditional concepts of heaven and hell, the trinity, anti-Semitic theologies, etc.). Some people even view coming out of Babylon as leaving one country that they view as Babylon the Great (e.g. America). These are all issues that need to be addressed, but these are not the first issues one must deal with when discussing exiting Babylon. Coming out of Babylon is more than just leaving non-biblical religious traditions, or leaving a religious system denomination, a country. It involves matters of the heart. When issues of the human are addressed and dealt with, the rest will take care of itself. When YHVH urges his people to come out of Babylon in Revelation 18:4, who are his people? Buddhists? Moslems? Hindus? Witches and satanists? Secular humanists and atheists? Maybe yes in a very broad and generic sense, but in a biblical context, he’s talking about the believers in the God of the Bible. Specifically, who are Elohim’s people? Many Bible believers don’t know the answer to this question. They view themselves more in terms of the religious labels they wear instead of the truth of the Bible with regard to who YHVH’s people are to be vis-à-vis the world. Coming out of Babylon first involves dealing with an identity crises among the people of YHVH. Once they learn who they are supposed to be in biblical terms and embrace this vision in their hearts and minds, they will automatically begin coming out of Babylon by first putting the leaven Babylon out of themselves! Though disciples of Yeshua are in the world, they’re not to be of this world (John 17:11, 14). Followers of Yeshua are “the called out ones” (Gr. ecclesia). Called out from what? From being controlled by the world, the flesh and the devil. Redeemed believers are to be holy or set-apart (Heb. kadosh) as YHVH Elohim is kadosh (Lev 11:44, 45; 20:7, 26; 1 Pet 1:5, 16; 2:9). Set-apart from what? The controlling influences of the world, flesh and the devil. Believers are foreigners, strangers and pilgrims in this world. They’re part of another kingdom and are sojourners passing through en route to YHVH’s eternal and spiritual kingdom (Heb 11:13: 1 Pet 2:11). The saints are to be salt and light in this dark and rotten world (Matt 5:13–14). This means that what they do, say and think is antithetical to, in contrast with and different form this world. Followers of Yeshua are to come out of the world and to be separate from the heathens (2 Cor 6:14–17). A follower of the YHVH Elohim cannot be the friend of this world and a friend of Elohim at the same time (Jas 4:4). This is a call to action. What should be the response of YHVH’s people to pagan belief systems, thought patterns and traditions that are a part of their lives and that are contrary to the Bible? These belief systems are found within traditional Christianity as well as the world in general. Repent of sin, which is the violation of YHVH’s Torah-instructions (1 John 3:4), and get back to the Torah-instructions in righteous living (2 Chron 7:14, 17, 19). Return to the ancient and good paths of the Torah (Jer 6:16; 18:15). Read and study the Bible (from Genesis to Revelation) anew asking the Holy Spirit to lead you into all truth. Be resolved ahead of time to do what ever YHVH tells you to do to bring your life into conformity with his Word no matter the cost. View the instructions of the Bible through a different spiritual lens. Don’t view it from a minimalist point of view but from a maximalist point of view. That is, what can and must I do as opposed to what don’t I have to do (i.e. what can I get away with and still be a disciple of Yeshua). Once you start discovering the truth of the Bible from a fresh perspective, start conforming your life to the truth of it. Start living a holy or set-apart life (Lev 20:4; Heb 12:14). YHVH’s people are to be holy or set-apart unto him, not a people who have been made profane by worldly, polluted or defiled pagan customs and traditions of this world (Ezek 22:26; 44:23). Let go of religious or other non-biblical traditions of men that violate or have superseded the Word of Elohim (Matt 15:7–9; Mark 7:7, 9). Don’t make excuses. Just do it! Just obey YHVH Elohim and his Word. If you following these points, you will be heeding YHVH’s call to come out of spiritual Babylon by first getting the leaven of Babylon out of your heart and mind (Rev 18:4). Once this is done, all the other Babylonian practices you have been engaged in will begin to fall out of your life like chaff blowing in the wind or dross bubbling up out of the gold to be skimmed off. These things are the first and most important steps to coming out of Babylon the Great. Revelation 9:21, Sorceries. Gr. pharmakeia. Pharmakeia is a methodology to circumvent Elohim and to open the doorways into the supernatural. It is the mix of science along with magical arts, occultic or hidden, demonic, angelic or paranormal realm and medicine, potions, or herbs for sorcerous reasons to open the mind to put one in contact with what is beyond the gate or the boundaries YHVH has established between the natural and supernatural (including the demonic) realm. The Satanic spirits in Revelation chapter nine inhabit the pit, and those who resort to pharmakaia are coming into contact with spiritual entities either from the pit, or from realm of darkness beyond this earth. Satan is both the angel of the bottomless pit (Rev 9:11) and the prince of the power of the air (Eph 2:2). There are gateways or portals down to the pit and out into the universe in either case to contact beings from other dimensions. There are good and evil portals. YHVH revealed to Jacob a good portal or gateway to heaven at the site of the future Temple Mount when he dreamed of the ladder to heaven. Yeshua is the gateway or doorway to the Father in heaven (John 1:51). But there are evil gateways that men an open up illicitly through pharmakeia or drug induced states. Biblical examples of individuals illicitly opening up gateways into the evil realm beyond man’s perception include the witch of Endor who summoned the dead (1 Sam 28:3ff). We also see this with the slave girl who was possessed with a spirit of divination and who followed Paul in Macedonia (Acts 16:16–18). Those who come under the influence of pharmakeia put themselves into a drug-induced state to activate gateways into the supernatural realm. It’s a form of rebellion against YHVH’s established boundaries that man is not supposed to cross. Witchcraft is also taking something holy and exploiting it for personal purposes. This is what Samuel accused Saul of doing when he kept the cattle he was supposed to kill, so that he could at a later time offer up an illicit sacrifices without going through the proper Levitical protocols. Samuel equated this act of rebellion with witchcraft (1 Sam 15:23). Saul had this proclivity, for he had offered up a witchcraft sacrifice once before (1 Sam 13:9–13). Samuel rebuked him for it, yet Saul was willing knowingly to repeat the same mistake again, which was strictly forbidden. Taking that which YHVH has ordained to be used legally one way and defiantly using it another way for one’s own selfish purposes is an act of rebellion and witchcraft.